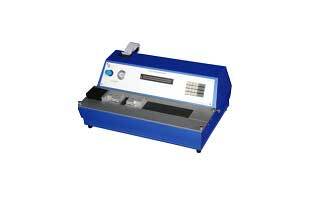 Electronic Tensile Tester (Horizontal) is available from us which are of superior quality. User-friendly software guides the operators through all steps of program selection. The parameter modification and sample test is also provided to minimize to human error during test to provide rapid and efficient determination of tensile strength, stretch, tensile energy absorption (TEA) and tensile stiffness of paper and paperboard with in-built printer, fitted with imported load cell & stepper motor from Japan.